Wonder Responsive is a very professional and far high quality Responsive Blogger Template.it is a stylish and professionally designed template with 3 skins and 2 post styles for anyone who wants to make great website or internet businesses. This template is perfect choice for newspaper, magazine, editorial, personal blog, entertainment (movie, music and photography), and portfolio. 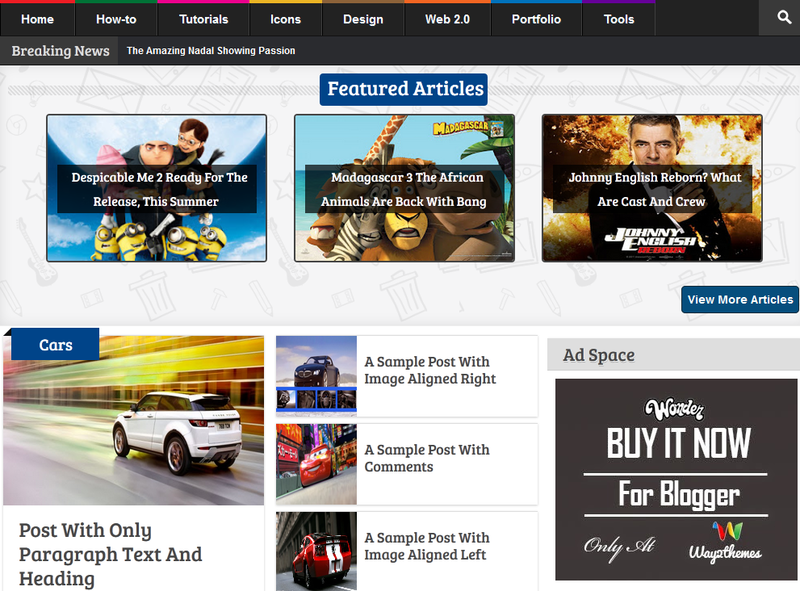 the wonder blogger template has lots of inbuilt features to fulfill your requirement for a perfect blog.